Last week, Skyd introduced our panel of training professionals and elite level athletes (Phil Johnson, Melissa Witmer, and Lindsay Hack) for our training topic of the month. If you have follow up questions, please ask them in the comments. We have encouraged our panelists to respond there. 1. What is tapering? 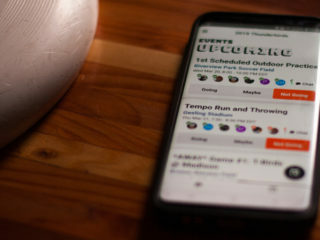 Is it any different than just taking a day or two off before the tournament? Tapering is exactly as it sounds: reducing the amount of training volume in order to peak for competition. This type of strategy is commonly employed by endurance sport athletes to allow for super-compensation of energy stores in addition to recovery and adaptation of soft tissues. A typical taper may involve a scaled reduction of training stress over the last week out from competition resulting in a significant improvement in performance. According to both anecdotal accounts as well as empirical research tapering appears to work quite well. 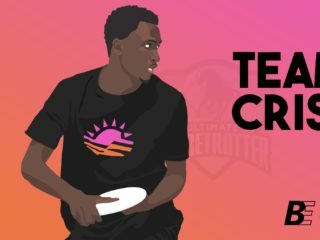 The problem with applying this concept to Ultimate is that Ultimate is a much different sport than running a marathon. Ultimate much like soccer and rugby involves continuous movement at some level (which necessitates a high level of aerobic conditioning) but in addition there is an essential need for explosive bursts of speed and power (ATP/CP, glycolytic) throughout a game. So yes tapering is different than just taking a few days off, but the strategy followed by endurance athletes may or may not be completely applicable to Ultimate. Tapering is very different from taking a day or two off before a tournament. 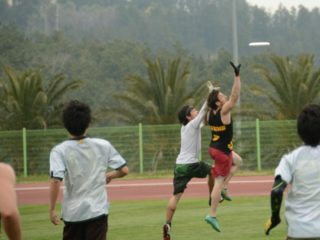 Ultimate can be a difficult sport to train for because we need aerobic endurance, speed, agility, and power. In addition, we cannot possibly build and build and build on our foundation of fitness for six months straight. During the college season, many colleges start workouts over winter break and then continue them until the end of April/May. That is 6-7 months and the body is not designed to keep pushing and building for 6 months. Ideally, an athlete should break their season down into 2-3 month increments, if you will mini-seasons. Approximately 2-4 weeks before the end of a mini-season, the athlete should begin the taper. Ideally this is after the hardest workout of the mini-season. The taper is designed to unload the body and is therefore characterized by slowly decreasing the duration, amount, intensity and frequency of the workouts. 2. First there are conferences, then Regionals a few weeks later, then Nationals a few weeks after that. Is it possible to taper and peak more than once in that amount of time? I would encourage Ultimate athletes / coaches to replace the concept of “tapering” with the concept “periodization”. IMO the difference is that periodization involves managing the cumulative training stress of an athlete in addition to the allocation or time management of training. You see periodization doesn’t simply mean a reduction in training volume but rather prioritizing certain types of training at certain times in order to maximize performance at a given time. Yes and no. In my opinion, I do feel like you have to pick an event to taper for and then if you want to peak a second time, you need to deal with that later. For instance, if there is a good chance you will make nationals, but you do not want to chance it, then peak for Regionals. Immediately after Regionals have a week of heavy workouts (probably not as heavy as the week of workouts four weeks before Regionals) and then begin a second taper. Trying to choose when to taper and peak is tricky. I think for most teams it would be practical to start a taper 2 weeks before Conferences/Regionals and then continue that taper until Regionals/Nationals. Teammates may worry that the decreased workload will cause them to lose fitness. All of your training adaptations will be maintained as long as you maintain the intensity of your work. You will just be decreasing the volume of work by doing shorter or perhaps less frequent workouts. For a young team with little experience with tapering, they will still be nervous about it. Don’t fight it too much. At the end of the taper you need your athletes feeling fresh, confident, and ready to go. If they start believing they’re getting out of shape, it doesn’t really matter if they are actually physically improving. For a team like this, a shorter taper may work better. 3. What’s the minimum time is needed for a proper taper? Focus on game strategy, routes, coverage’s, etc. Pay close attention to nutrition and sleep! Any extra-curricular training would be dedicated to acceleration drills, agility, and traditional strength training methods. Bottom Line: Tapering for Ultimate should be thought of simply as prioritization. Leading up to competition focus on game strategy, technical execution, as well as maintaining speed on the field and strength in the weight room. Most importantly don’t take this stuff as seriously as I do …just have fun! For Ultimate? Four weeks. Again, at four weeks before the event you want to peak for, you should complete your most difficult workout. Then, after that, your workouts should get progressively lighter and lighter until the week of your event you are basically doing very little in terms of fitness. It’s difficult to come up with exact suggestions for your team’s taper. Much depends on the volume and intensity of training prior to tapering. In general, the less training your team is doing, the shorter the taper required. Remember the main goal of the taper is to have athletes feeling rested, recovered, and ready. Part of this will be psychological. Help your athletes understand the purpose, value, and theory of the taper but in the end let your athletes do what they think they need to do even if it doesn’t appear to be optimal.